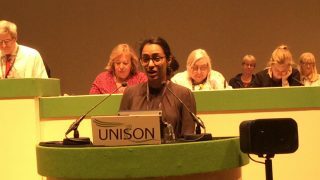 The lack of safe staffing on wards and in ambulances is putting patients and staff at risk, UNISON’s health conference heard today. 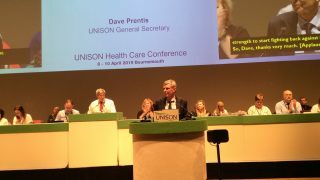 Once again in Bournemouth delegates were told about an aspect of members’ working lives that was causing stress and anxiety, which in turn was leading to people leaving their jobs and even more understaffing. Speaking on the motion “safe staffing and legislation”, Mr Anthony said that the union’s nursing and midwifery occupational group had led the “vital” campaign on safe staffing. 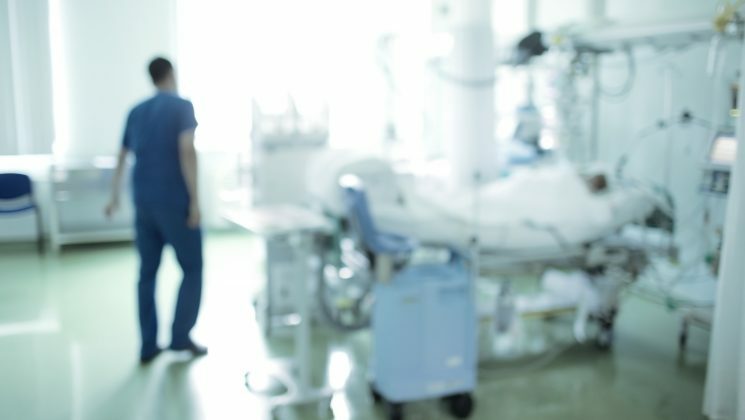 He said the UK already lagged behind the US, Australia and New Zealand in terms of the number of nurses to patient population. “And there are already 40,000 nurse vacancies, one in eight nursing posts being left vacant. The projections for the future are stark. On current trends we would be short of 108,000 nurses by 2028. Linda Hobson, of the nursing and midwifery occupational group, said that no-one entering the NHS expected it to be a 9-5 job. “But year after year staff are working above and beyond to deliver the best care for their patients – at a personal cost. 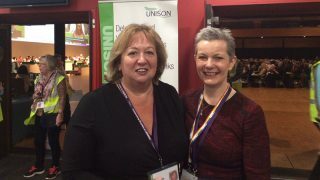 Conference heard that while Wales has legislated on safe nurse staffing levels and Scotland has begun the process of legislating, neither England nor Northern Ireland has any legislation. The motion ‘what is safe staffing in ambulance services?’ states that with record numbers of people contacting the 999 and 111 services, the current system is “unsustainable”. Pressure of budget cuts and increasing demand on ambulance services has led employers to look at cheaper ways of running their service. At the same time, there are chronic shortages of paramedics and a record turnover of staff in clinical call centres. And in some areas this has led to emergency support staff being sent as double crews to answer 999 calls. Peter Steventon, of the ambulance occupational group, told delegates that the paramedic is no longer regarded as a job for life, but a “highly stressed job leading to mental health and other issues”. As a result, individuals would likely leave within five years. Jo Fowles, vice chair of the group, spoke of those emergency care assistants who, while their role is to assist paramedics, often find themselves answering 999 calls without the senior colleague beside them. Recently she heard of two ECAs go out together because the paramedic was sick. “They had both been in their jobs for six months. They could have been first on the scene of the Novichok incident in Salisbury! Jackie Owen, a South Western ambulance controller, said that ECAs frequently had to attend 999 calls without paramedics in that large region. Ensure that focus is put on adequate staffing in ambulance clinical call centres.